BE OUR GUEST. YOU’LL FIND ISLAND LIFE TO YOUR LIKING. 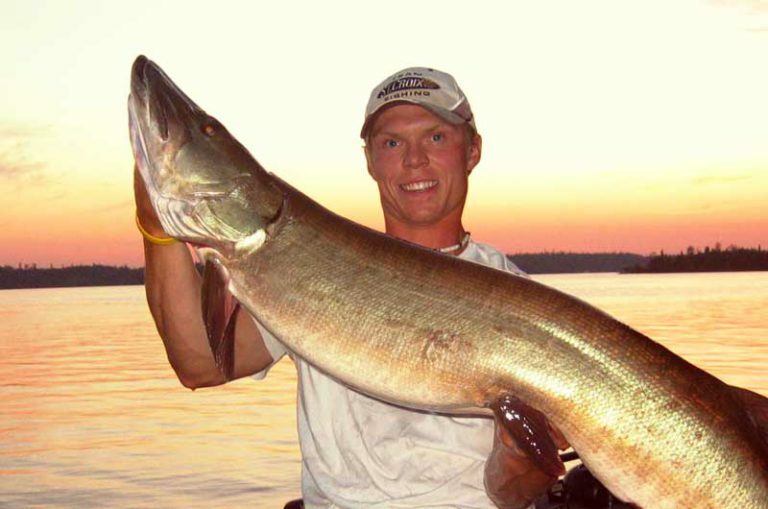 THE FINEST GUIDED FISHING, DINING AND LODGING ARE YOURS IN BEAUTIFUL NORTHWESTERN ONTARIO. 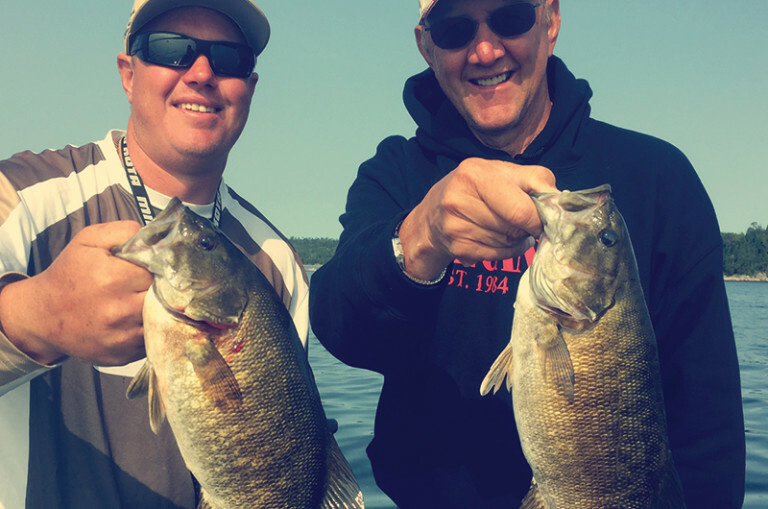 Phil and Liz-Ann Reid searched Canada for a perfect site for their dream fishing lodge. 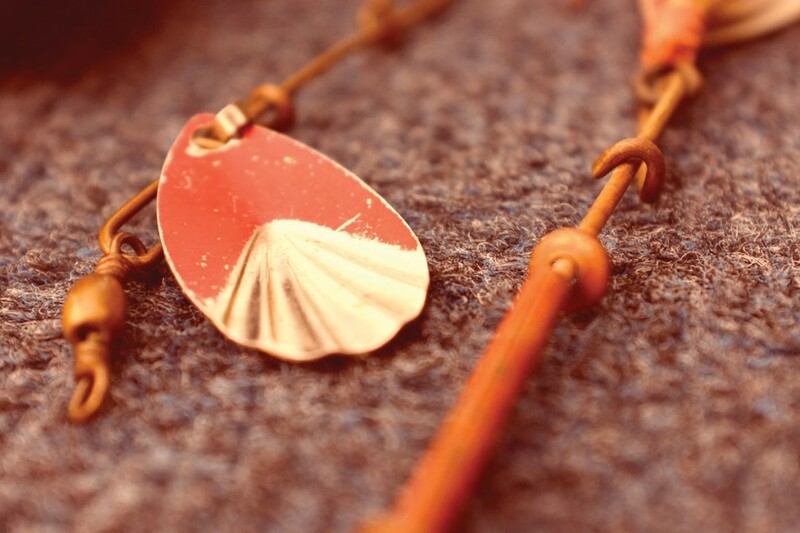 They found it on the fabled Winnipeg River, near the village of Minaki in Northwestern Ontario. 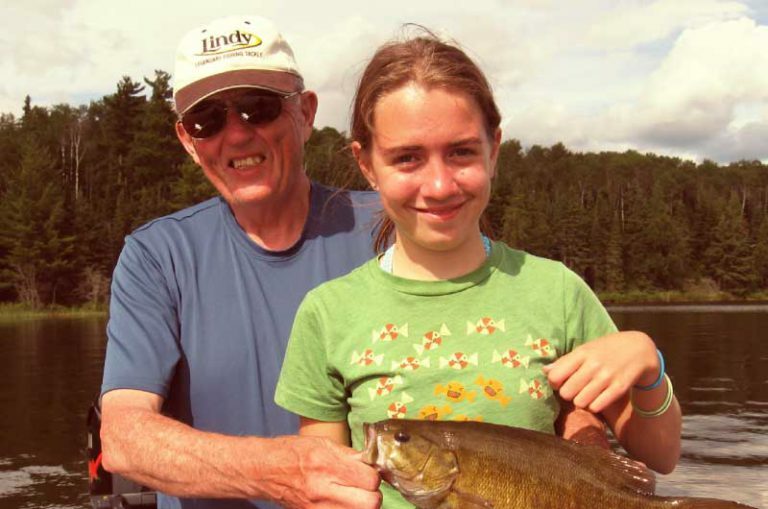 Phil’s family has been in the fishing lodge industry for three generations. His father, Al Reid, was one of the great pioneers of the Canadian north – a pilot, entrepreneur and outdoorsman with friends and admirers across the continent. At age six, Phil began his career doing chores for the family business. By the time he was 12, he was guiding customers at the family’s Stork Lake facility. At 20, he purchased his first resort. 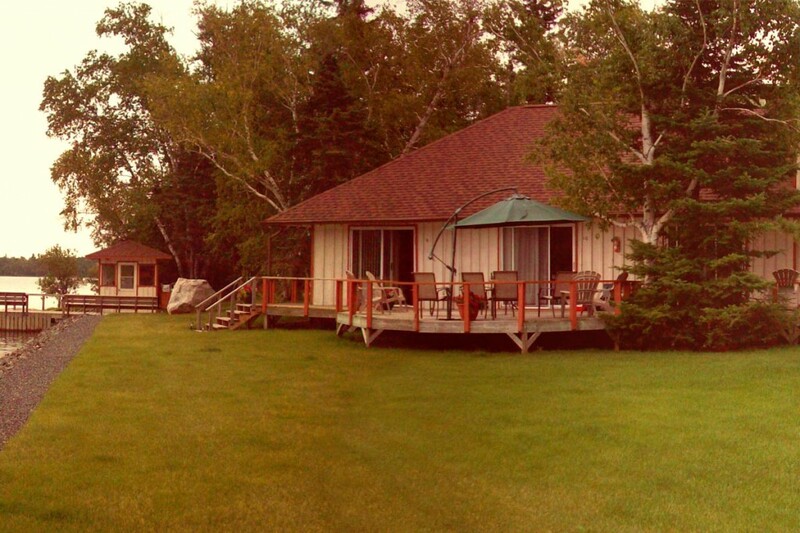 Throughout the past 70 years, the Reid family has owned and operated lodges and resorts throughout Manitoba, Northwest Ontario and the Arctic. The family’s first-class, fly-in Knee Lake Resort in Northern Manitoba became known as one of the finest on the continent. In recent years, the logistics and cost of running a remote lodge have posed many challenges. Executives and families have also found it difficult to be able to travel to a fly-in fishing lodge and stay for an extended time. Modern anglers want shorter trips, more efficient travel and high-level accommodations and service. (And great fishing of course!) 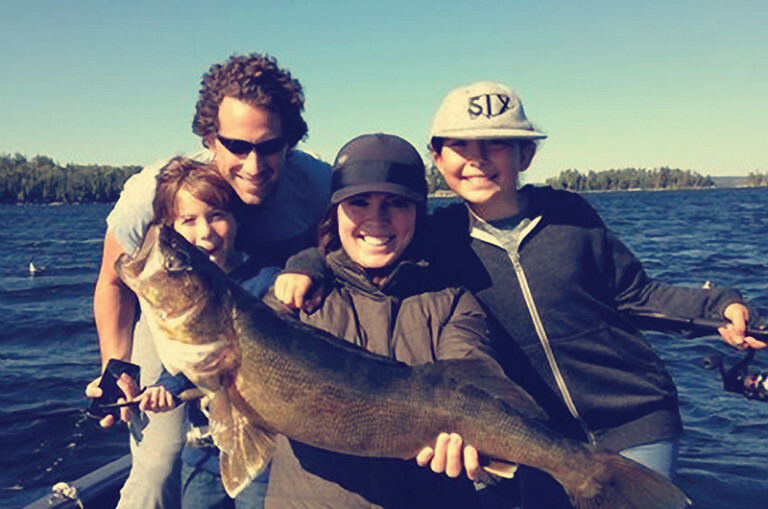 The Reid family raised the bar several notches at Knee Lake Resort, and have once again shaken up the industry with superlative food, lodging, attentive service and guided fishing at Reid’s Birch Island Resort. 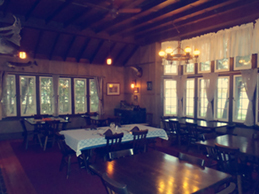 Set among immense pines, the lodge is an elegant century-old building, the former private and corporate retreat for the T. Eaton Company. 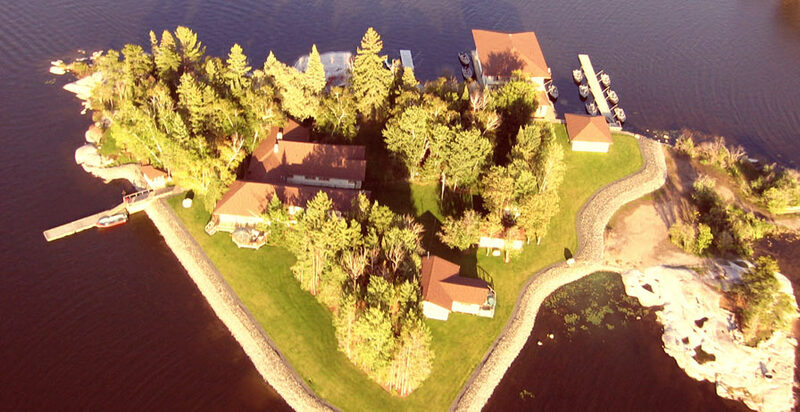 From the resort, the Winnipeg River extends in all directions like an immense four-leaf clover, with hundreds of miles of shoreline and limitless fishing opportunities. 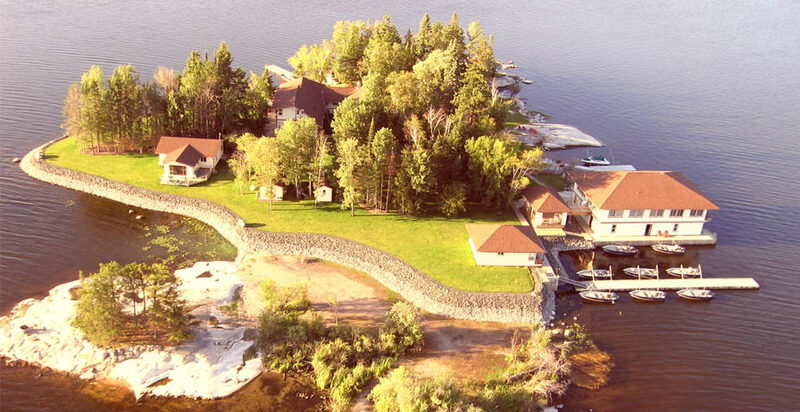 Birch Island Resort combines the best aspects of both worlds — traditional old-time elegance with the very latest in cuisine, accommodation and service. Nearby airports, all-weather paved road access and wireless communication mean you can stay in touch while enjoying a corporate retreat or family vacation. Everything is supplied from the moment you arrive. 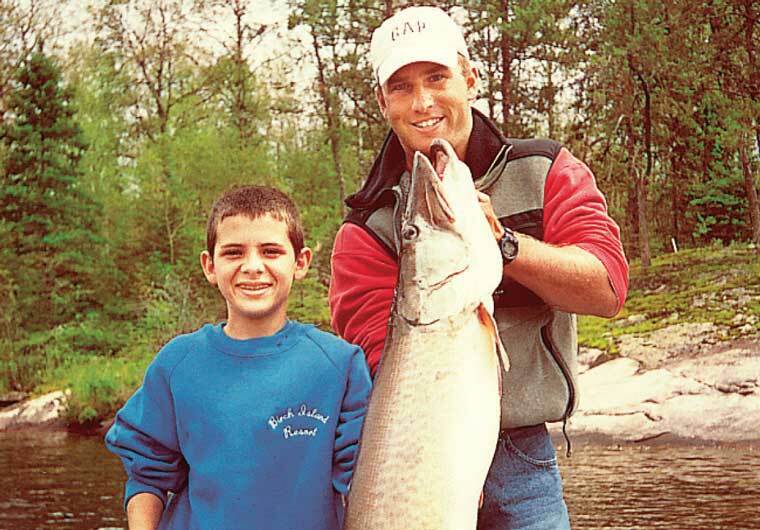 The fishing is excellent and our guides are professionals who just might become lifelong friends. The beauty of the area will take your breath away, invigorate your spirit and strengthen bonds between family, friends, and colleagues. 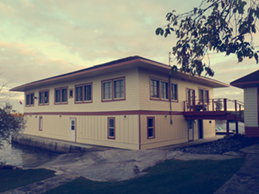 We have 6 rooms on the back deck of the main lodge that can accommodate 12 people all with individual washrooms and a deck to sit and look over the lake and watch the sunset. 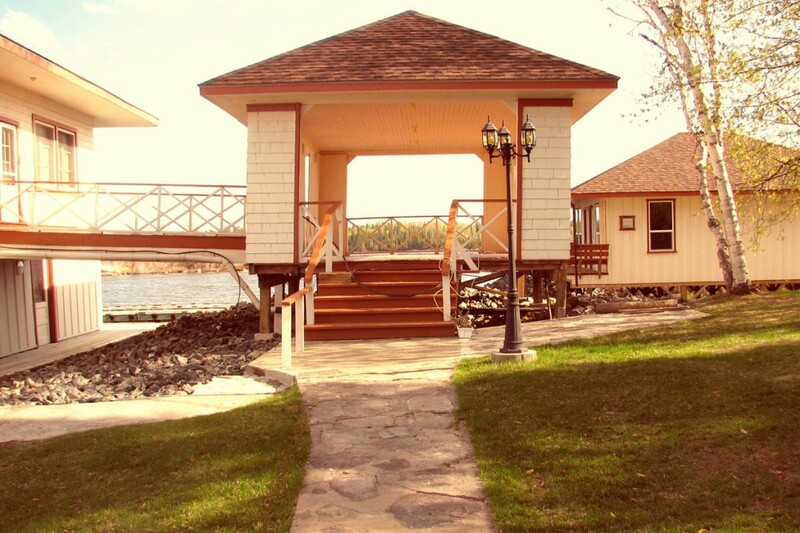 The spectacular boat house has 4 rooms that sleeps up to 10 people all with individual washrooms – large common area complete with bar and large flat screen TV, and of course the beautiful view of Gunn Lake. And a guest cabin with three rooms that sleeps up to 6 people, complete with large sitting room and deck. With this flexibility we can provide accommodations for 1 to 26 people. We have newly constructed covered deck and sitting area, with a brand new bar. We have a cozy sitting room in the main lodge that looks out onto the lake, a large lounge above the boathouse with wet bar, piano and plenty of seating. 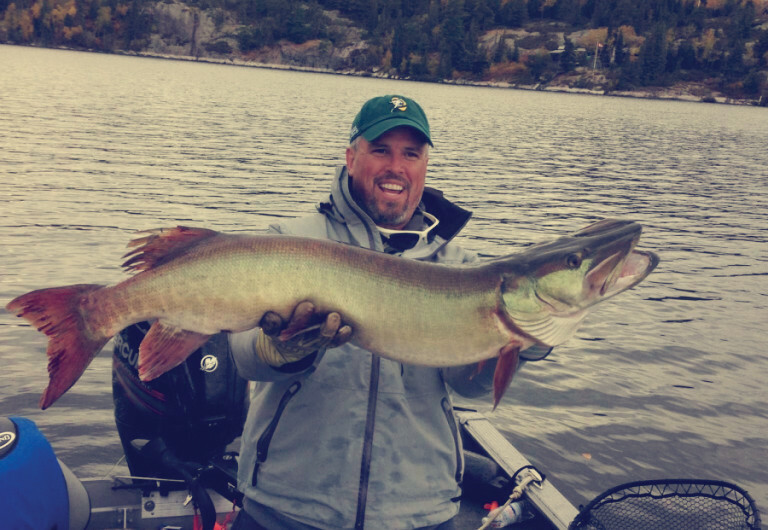 There is also a large deck off the main lodge that overlooks the water, and many lakeside decks available to enjoy the company of fellow fisherman or take in the glow of one of many colourful sunsets Northwestern Ontario is famous for. 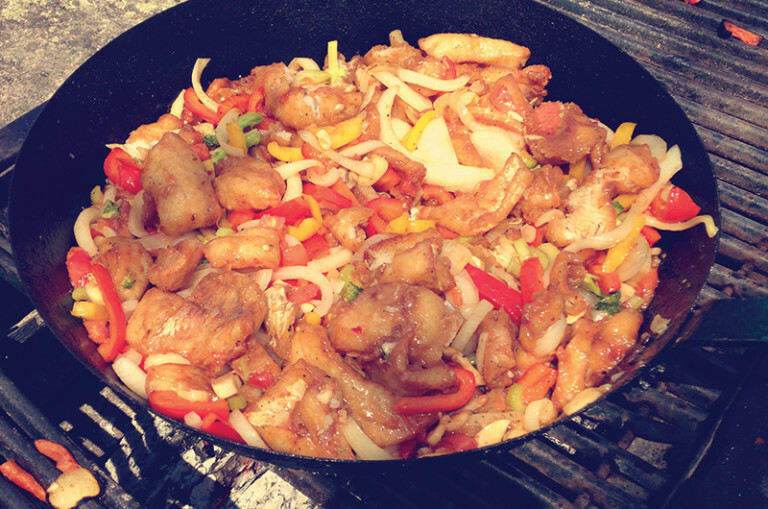 At Birch Island Resort, you will experience licenced dining that rivals the finest restaurants. 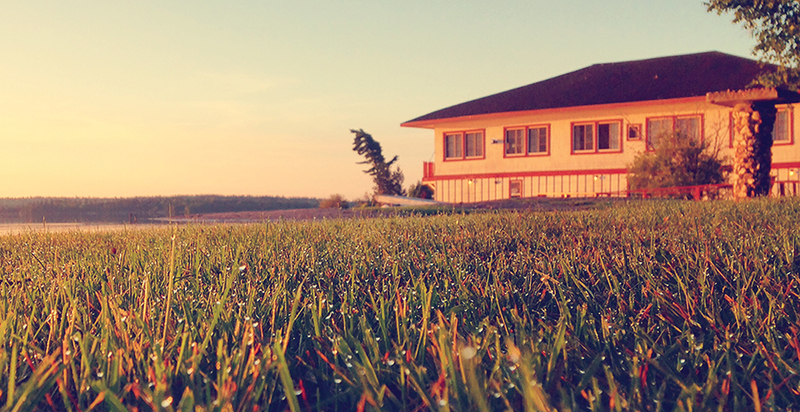 Coffee is delivered fresh to you each morning as you enjoy sunrise over the lake. Our executive chef will treat you to made-to-order breakfasts each day. 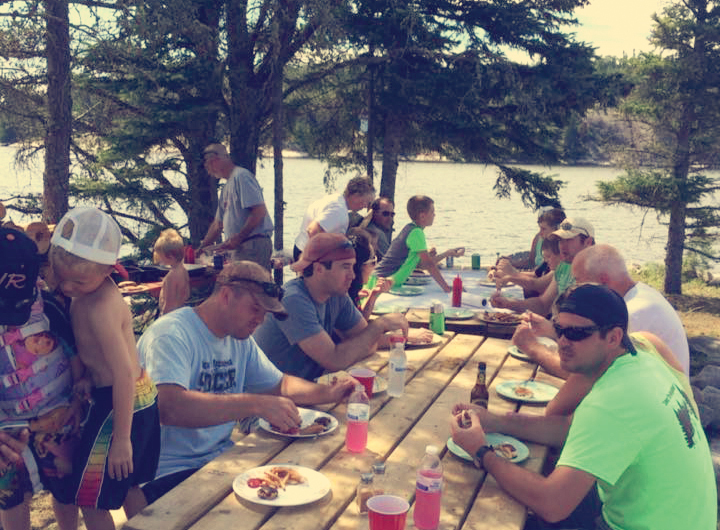 At noon, lunch will be served on the water at one of our hand picked shore lunch spots where you will enjoy fresh-caught walleye and many side dishes. 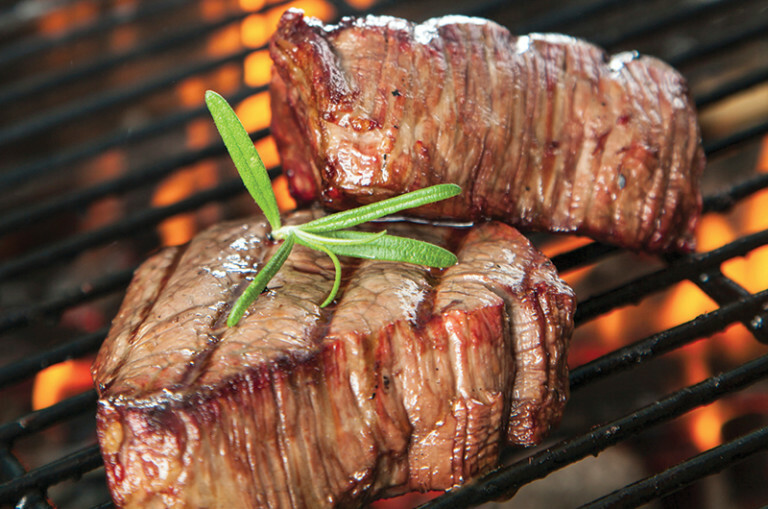 Dinners feature generous portions of your choice of steaks, chops and seafood, all artfully prepared. Top it off with desert and your appetite will be thoroughly satisfied. 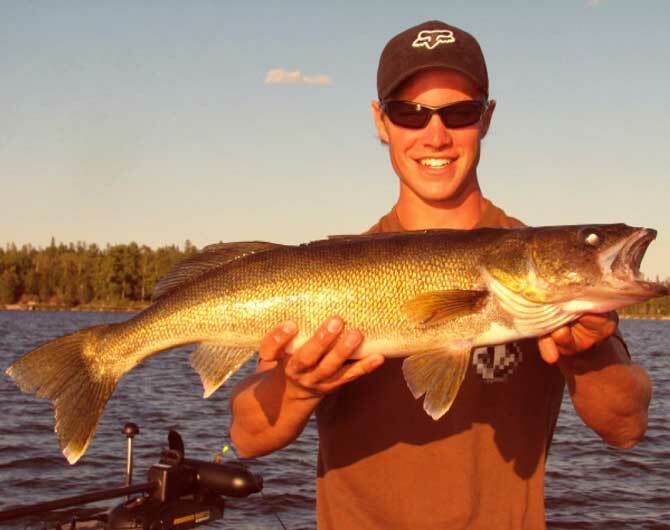 Birch Island Resort guides are knowledgeable, enthusiastic and experienced. They are ready to assist you and they know where the hot spots are. They’ll take care of your catch and prepare a shore lunch that will be one of many highlights of your trip. 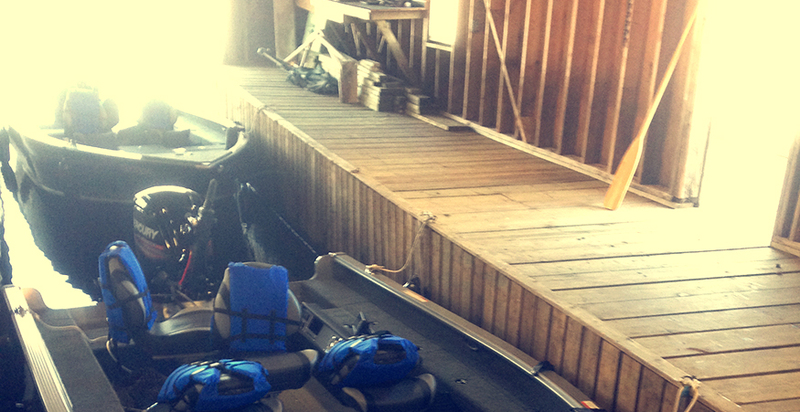 Each guide is boat safety certified, trained in CPR and first aid. As with our guests, our guides return year after year, some for more than 20 years! They are adept at helping children, seniors and avid fisherman alike, ensuring everyone has a memorable fishing experience. You’ll find our trading post alongside our dock and boathouse with basic tackle, beverages and our full line of Birch Island clothing. The Shore Lunches at Birch Island stand as one of the most delicious aspects of your experience. Fresh walleye is prepared in a wide range of our own perfected recipes, from traditional pan-fried to sweet and sour, stir fried, baked or honey mustard. The fish is served along with homemade fries and breads, vegetables and desserts to complete the Birch Island Shore Lunch experience. 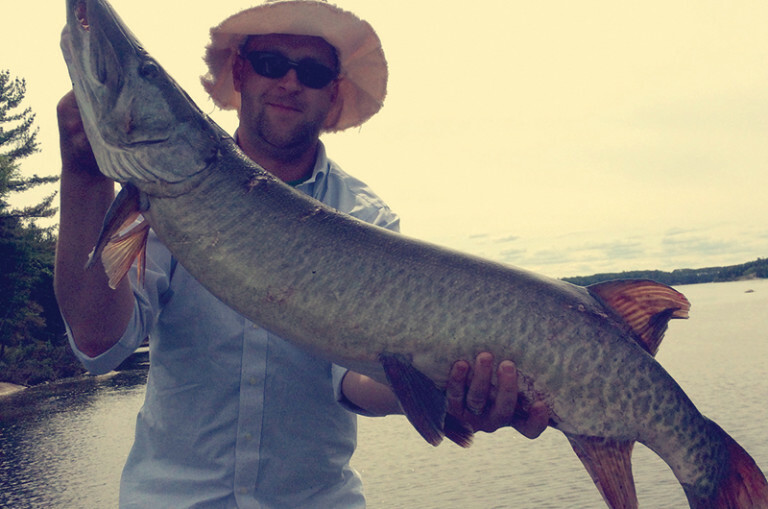 By promoting catch and release, we help to ensure that smallmouth bass, walleye, northern pike and monster musky are plentiful on this lake and river system. 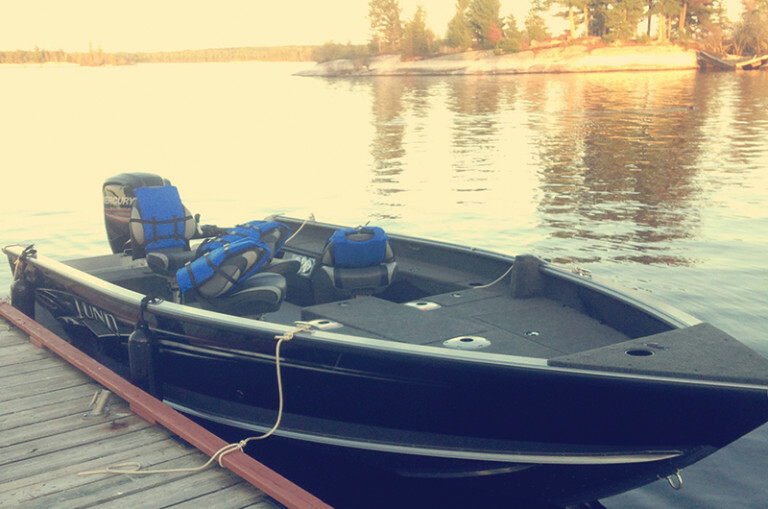 Our boats and motors are state-of-the-art — fully equipped 1875 lund pro-guides, powered by smooth, quiet mercury 90hp outboard motors. 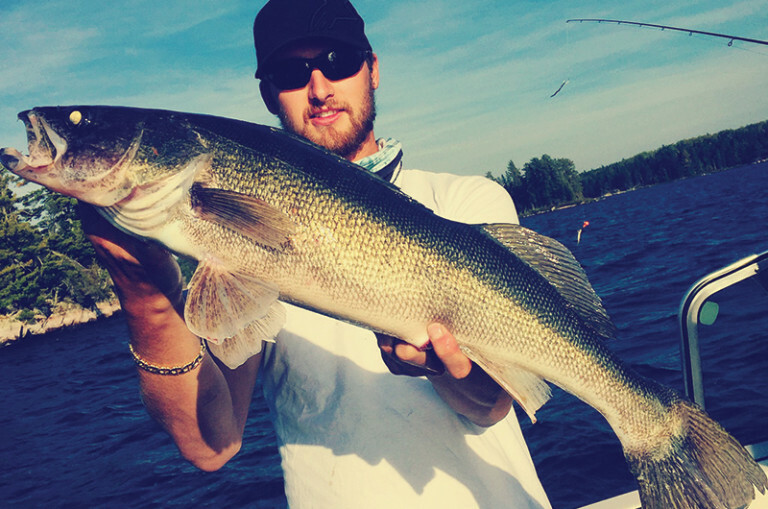 Extra Tip: On windy days it doesn’t hurt to long line crank baits for bigger suspended walleye. Preferred Spots: Shallow reefs, rock points, mouths of rivers or bays and points. When the weather warms up it is good to fish the rock piles, big weedy bays and pockets on the edge of channels with current. 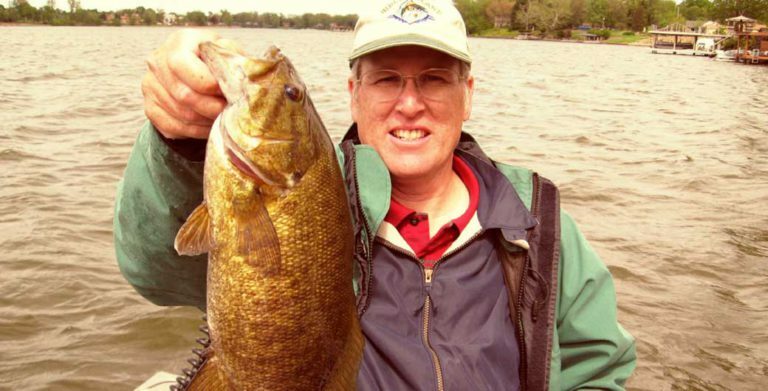 Preferred Early Season Bait: Down size the bait to 6”-10” on either mepps, spinners, or rubber bait. Preferred Late Season Bait: Increase bait size to 12”-18” using Medusa’s, bull dogs, big buck tail and my favourite top water baits. In the late season (fall) use vertical jig, large plastic or rubber baits on the edge of humps or rock piles. Cast and cast some more, always keep your eye one your lure! 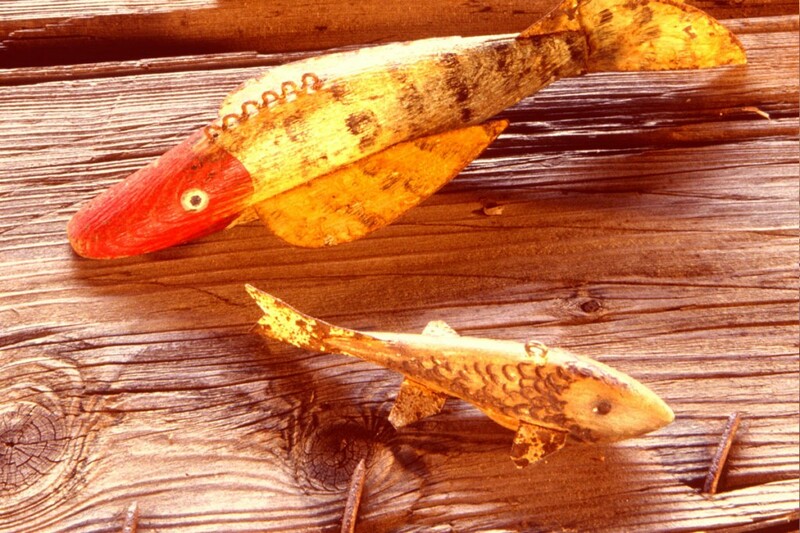 These are aggressive fish and you can use multiple baits. Including Berkley digger’s, pit bulls, mepps spinners, worms and leaches on a drop shot, smaller crank baits, jidder bugs, plugs and top water. Preferred Spots: Weed beds, bays, reefs, points, edge of current and shore lines. Preferred Bait: Just about anything. 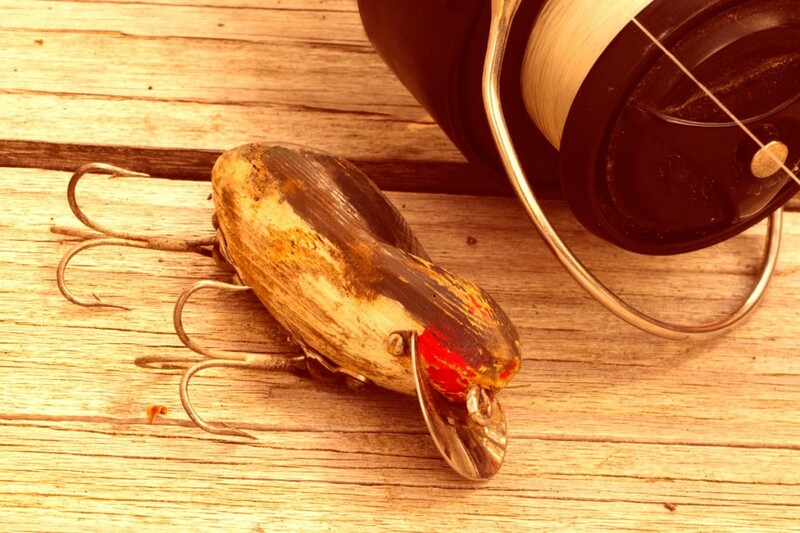 Classic baits to use are Five of Diamonds, Red Devils, crank baits, jerk baits, smaller grandmas and Williams spoons. The town of Minaki, Ontario is 150 miles east of the Winnipeg International Airport. From there, Birch Island Resort is happy to arrange any and all of your ground transportation needs and logistics. The town of Kenora Airport features a 6,000′ commercial air strip. The 30 miles to Minaki can be made by rental car, limousine or chartered bus. 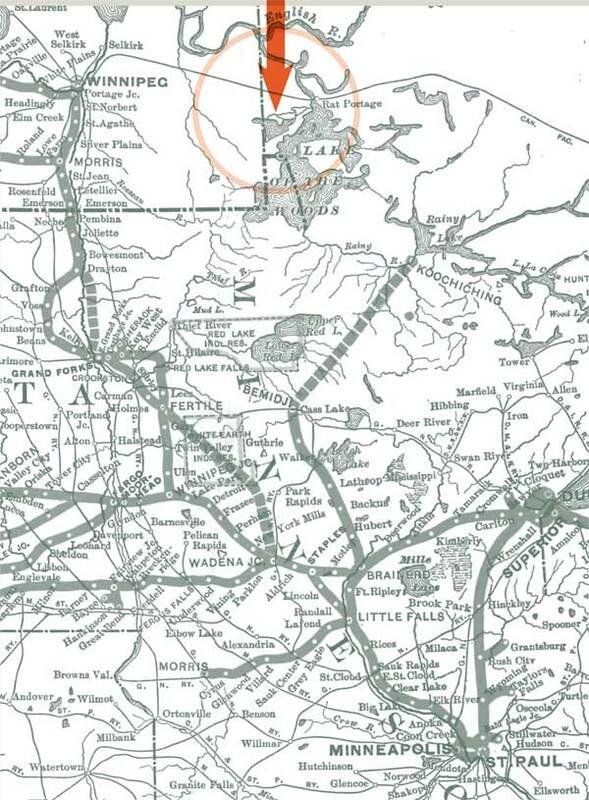 Minaki also has its own unregistered, unmonitored 2,770 ft paved runway. After clearing Canadian Customs at Fort Frances, drive west on Hwy. 11 to Hwy. 71. Travel north on Hwy. 71 to the Trans-Canada Hwy. 17, then west on Hwy. 17 to 17A. Turn north on Hwy. 596, 25 miles of paved highway to Minaki. If you travel Interstate 29 to the Manitoba Border, go north on Hwy. 75. Take the Winnipeg by-pass east to Trans-Canada Hwy. 1. Follow east to 17A to Hwy. 596 (Minaki turn-off). Follow the signs for the Minaki Marina. This will be your arrival point for transportation to Birch Island Resort. There is ample and safe parking for your vehicle and fishing or hunting licenses can be obtained here. You don’t have to travel far to experience the serenity of a private island resort. With our Getaway packages, you can pamper yourself while being surrounded by the beauty of nature. 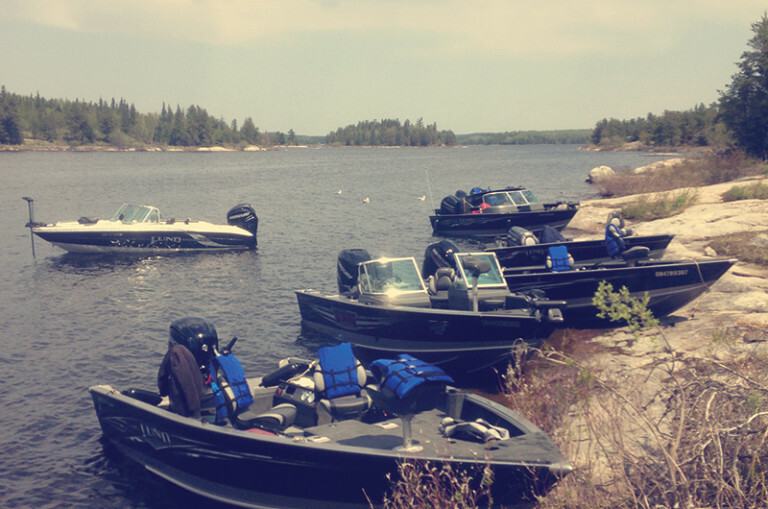 A boat will transport you from the Minaki Marina to Birch Island where you will be greeted and checked-in by our friendly staff. 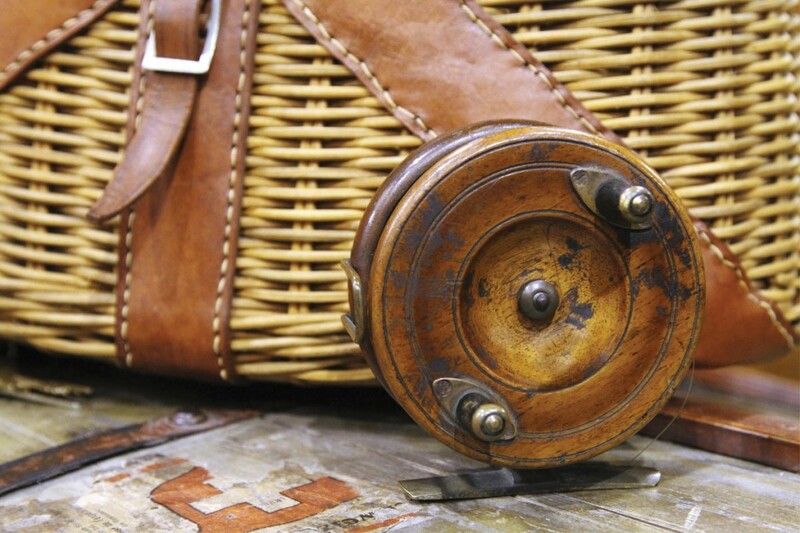 Settle into island life with a complimentary bottle of wine and hors-d’oeuvres in your cabin. While enjoying the sites and sounds of nature, stop by the lodge bar and outdoor deck for a drink before dinner. 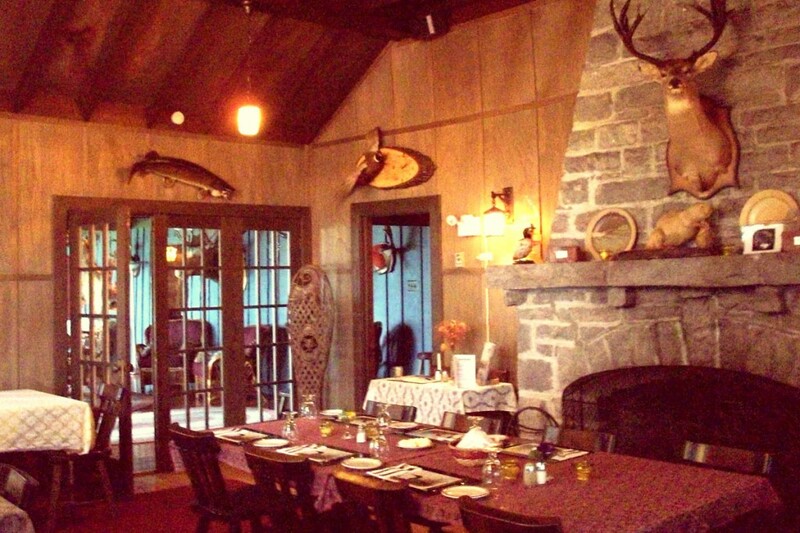 You will enjoy a meal prepared by our five-star chef in our beautiful, nostalgic dining room. Indulge in artfully arranged food that will rival some of the finest restaurants – you’ll leave with your appetite thoroughly satisfied. Now, it’s time just to relax and take in the glow of the colourful sunsets Northwestern Ontario is famous for. Coffee is delivered fresh each morning, and our chef will treat you to a hearty breakfast to start your day off right. It’s time to get out of town and recharge – let us pamper you! Check-in at 4:00 p.m. • Check-out by 11:00 a.m.
*Packages do not include fishing, taxes, gratuities, bar and store purchases. Booking expected between June and September 30, 2019. Based on availability. Must book before February 15, 2019 to receive the special rate. Includes welcome bottle of wine, dinner, breakfast and 1 night accommodation. Includes welcome bottle of wine, 2 dinners, 2 breakfasts, 1 bag lunch and 2 nights accommodation. Includes 1 night accommodation (day of arrival), dinner, breakfast plus 1 full day of guided fishing (including our famous shore lunch). Includes 2 nights accommodation (day of arrival) and all meals including dinner on day of arrival, and breakfast on day of departure plus 1 full day of guided fishing (including our famous shore lunch). $750 U.S. per person, trips priced over $2000 require a deposit of 50% of the full cost. All prices are in US dollars and all taxes will apply. We accept checks, cash, MasterCard, Visa, American Express and Discover Card. You will be contacted for payment. A $750 per person deposit is required within 10 days of booking, trips priced over $2000 require a deposit of 50% of the full cost. 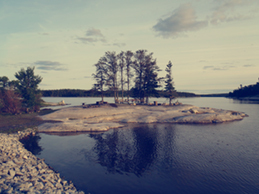 A reservation is not considered confirmed until the deposit is received at the offices of Birch Island Resort. All deposits are non-refundable. All final payments are due 90 days prior to your arrival at the resort. For cancellations made more than 90 days prior to the first day of your trip, your deposit will be carried over to the following season and all remaining monies will be refunded. For cancellations made less than 90 days prior to the first day of your trip, all monies will be carried over to the following season. All resort purchases are in US funds. All payments may be made by cash, check or credit card. ALL RATES INCLUDE: ACCOMMODATION WITH DAILY MAID SERVICE. ALL MEALS: HEARTY BREAKFAST, PREPARED SHORE LUNCH, GOURMET DINNER, PROFESSIONAL GUIDE, NEW STATE-OF-THE-ART FULLY EQUIPPED 1875 PRO-GUIDE BOATS AND 90HP MERCURY/YAMAHA 4 STROKE OUTBOARDS, GAS, BAIT. 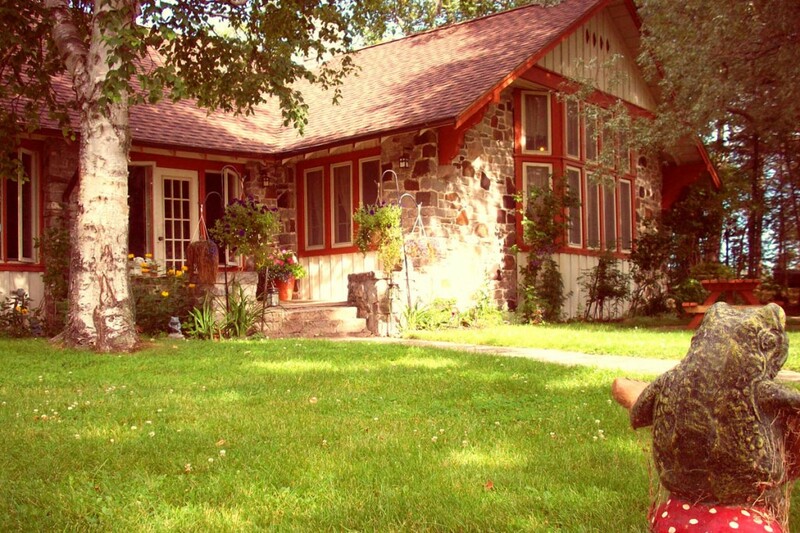 PACKAGES INCLUDE LODGING AND DINNER ON ARRIVAL AND BREAKFAST ON DEPARTURE. Required Deposit: $750 U.S. per person, trips priced over $2000 require a deposit of 50% of the full cost. please inquire about pricing for corporate, family and special events. we will customize a complete package to meet all your needs. Transportation services via limo, shuttle, or flight are available from Winnipeg. Please call to inquire about details. We accept checks, cash, MasterCard, Visa, American Express and Discover Card. All final payments are due 60 days prior to your arrival at the resort.